Combining durability and high performance, the F42 Strobing Fan™ Brush from Sigma is the perfect tool for highlighting your favourite facial features. 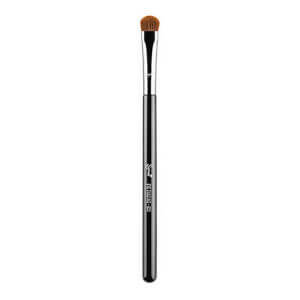 Featuring the brand's exclusive SigmaTech® fibres, the fan brush effortlessly applies and distributes powder and cream products on the cheekbone, sides of the nose and centre of the forehead for an expertly sculpted finish. Its specially designed, patented three-ring ferrule is made from SigmaAlloy™ for ultimate strength, whilst the lightweight handle is crafted from a sustainable source of wood with eight layers of paint, making it scratch resistant. I purchased this brush for my highlighter. Amazing!